While riding the subway a few days ago I came across an article featuring a group of Ryerson students who started a company to help decrease food costs in Nunavut. Accessibility to fresh fruits and vegetables up north has been a problem for years and it is promising to hear that our generation of innovators and creatives are springing into action. 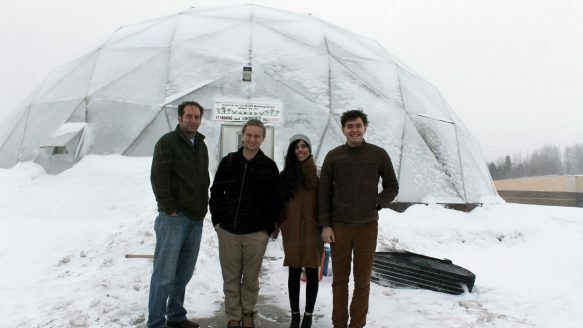 These students are planning on building greenhouses to help communities grow local produce instead of buying inflated food prices from grocery stores. For those who may not be aware of the food crisis up north, accessibility to fresh produce is limited because of the weather conditions and environment preventing them from performing similar agricultural practices that farmers further down south are doing. This makes food scarce and expensive. Just to give you an example, the article mentioned a man buying FOUR apples for $13. Needless to say, if you compared how much it would cost for you to buy four apples from your nearby grocery store it would not be $13. Using Hydroponics technology, this group’s greenhouse will hopefully be able to grow requested crops like tomatoes, potatoes, onions, peppers and cucumbers. So what is hydroponics? By all means, I am no expert on hydroponics but based on my understanding of this emerging agricultural technology, it is a method of growing plants without soil (see diagram). There are various hydroponic systems and mediums depending on how much produce you want to grow. For example, Bendale Business and Technical Institute in Scarborough housed 300 tilapias for their hydroponic fish-farm project. Alternatively, there are smaller scale hydroponic systems that you can store in your basement. Hydroponic is also one of the many methods that are used in urban agriculture. Got more food news to share? Leave a comment below and let us know!